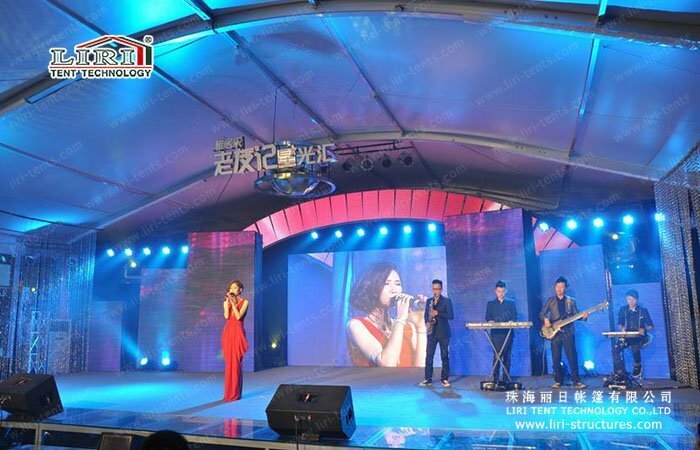 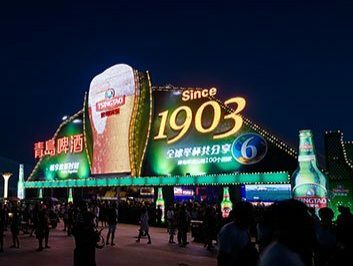 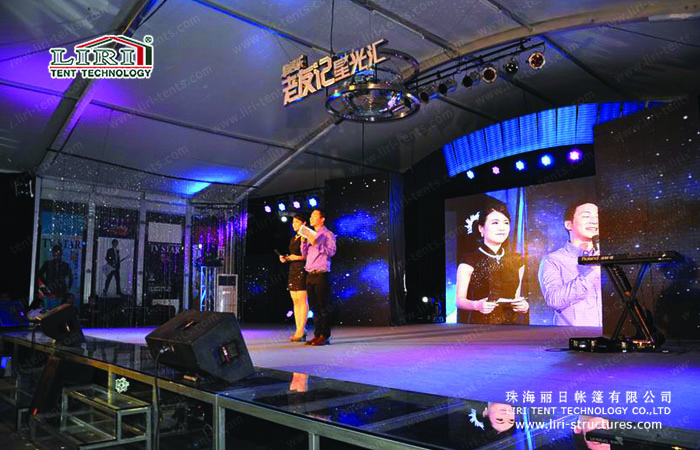 To celebrate its 20th anniversary, one of the top 10 real estate companies in China held a music party in a marquee. 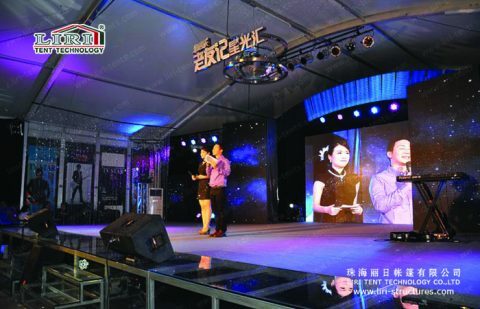 The Music party theme was classic 30’s Chinese music. 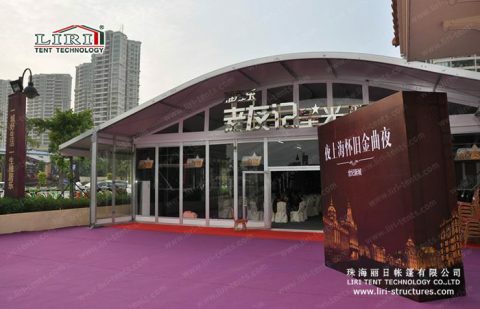 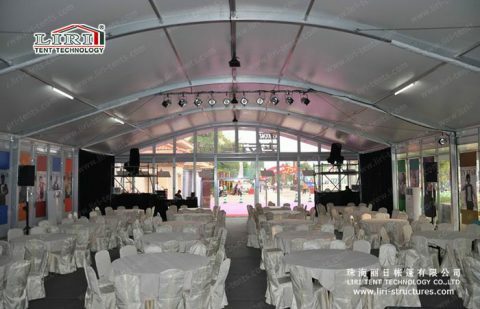 The shape of Arcum Tent created a nice concert hall for the party. 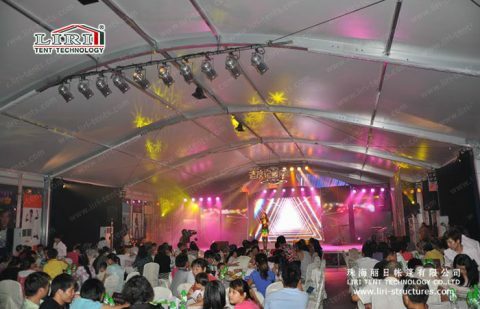 We provided a 15 x 15 marquee tent for the party. It is one of our latest designs. 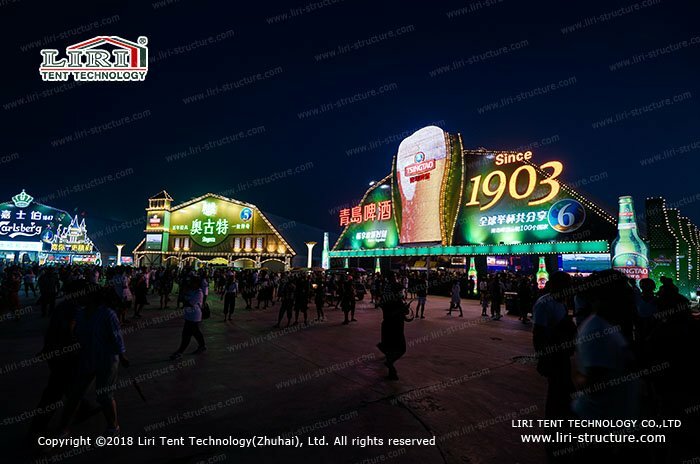 With its streamlined figure, the appearance of Arcum Tent is unique and eye-catching. 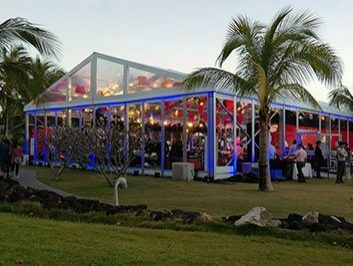 Party in a marquee is popular, smooth lines, unique appearance, more eye-catching. 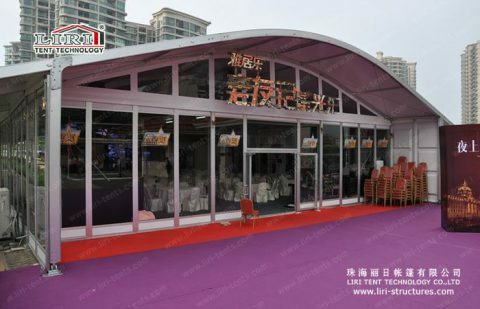 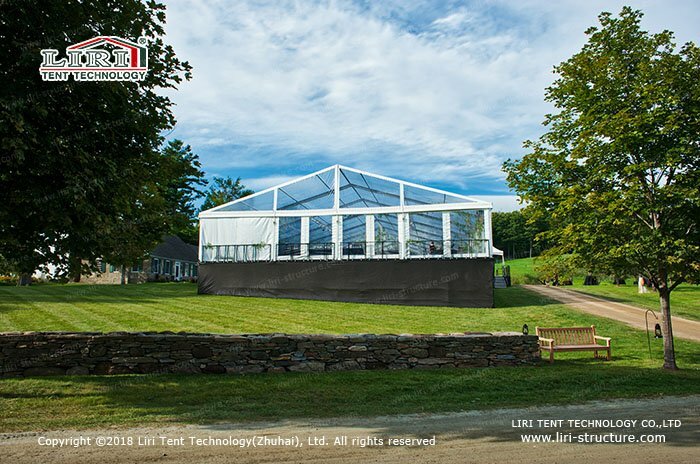 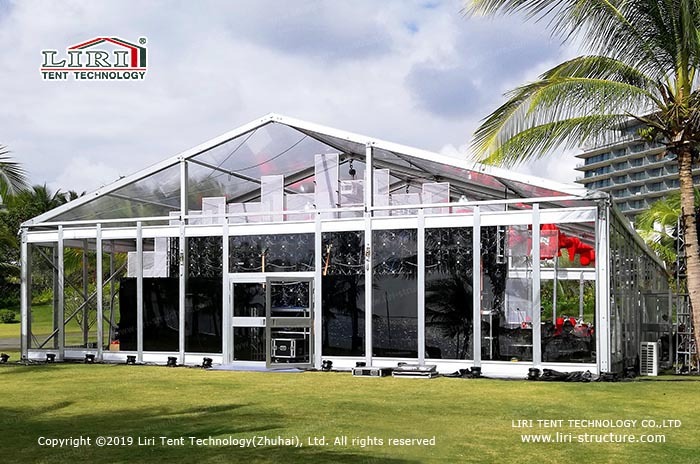 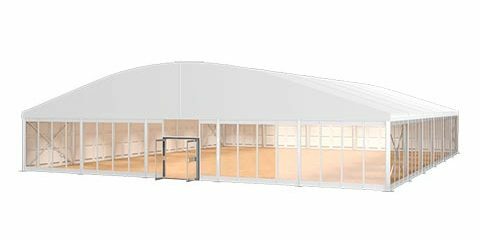 For a bigger party, we will suggest you the two-story party marquee tent with large interior space. 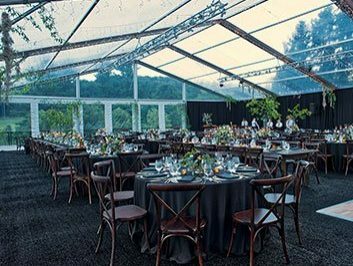 Tent for the party can provide you with an elegant, stylish space, whether you are in the outdoors or the garden. 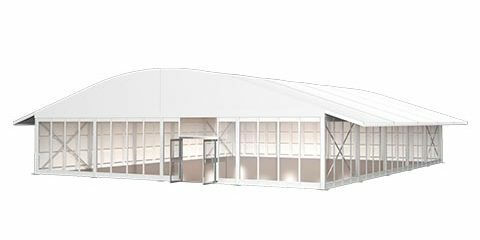 We can build you a party in s marquee, make your party marquee another style! High-strength synthetic fiber double PVC cover, wind, rain, sun, fire-retardant. 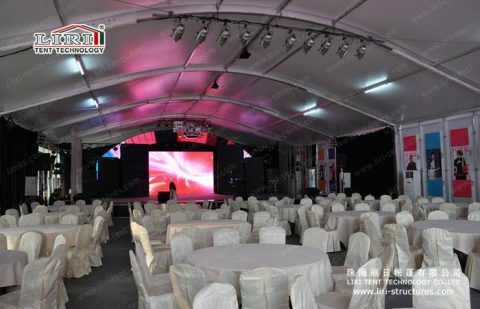 Simple and quick set up and dismantle.